Make it personal! 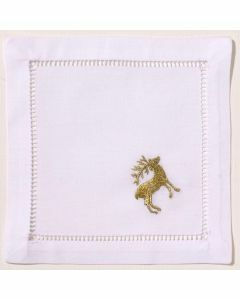 These monogrammed cocktail napkins will put a smile on your hostess’ face or jazz up your own bar. 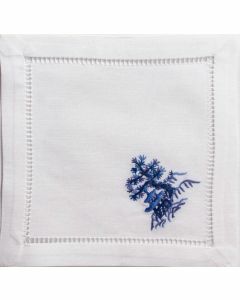 Hand embroidered French knot monogram on 100% Italian linen, finished with a simple hemstitch. Available in the top 16 single monogram letters. Please select letter from drop-down menu below. Please note this item is sold as a set of four. Each napkin measures 6 x 6 inches. Hand wash or machine wash on gentle cycle, tumble dry on low heat until damp, line dry, iron on reverse for traditional finish. Click on images for greater detail.